Big wave surfing places brutally clear cut demands on a surfboard. First and foremost is catching waves with fluid entry followed close by control getting to and turning off the bottom of the wave. Our "Sea Eagle" is a fundamental and simple design featuring a convex bottom for maximum control. 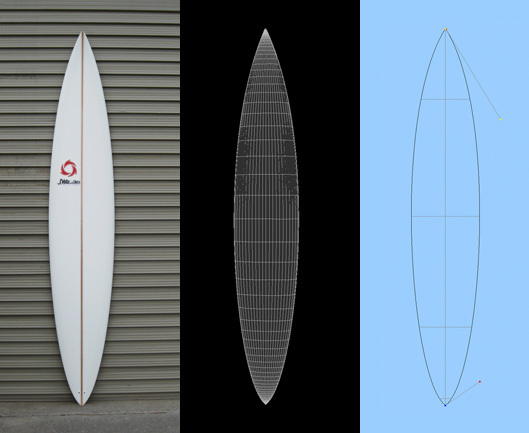 This design is tested by and limited to serious surfers in serious waves.